Welcome fellow drawing enthusiast! 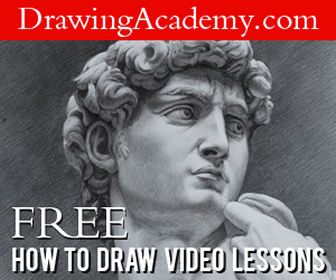 In this post we will dive right into basic drawing 101 by providing you with some awesome video lessons and exercises from experienced artists. One of the most effective methods for improving your drawing skills is with exercises. Exercises loosen you up, but also teach you valuable skills like how to control your pencil, making lines, techniques and more. Below are just a handful of videos, but there are much more available. Just do a search on any video streaming site to find more free resources and start drawing! Ed: lots of people still comment on the camera angle. it’s a 4 year old clip you’ll notice, not only can I do nothing about this but you’ll see I’ve used others since, don’t need the ‘advice’ at this point thanks. the camera was mounted where I could at the time and have the best views without my hand getting in the way. if you’re using a tablet or phone try holding it upsidedown. These and the other practice exercises are part of the weekly drawing exercise regime for Dynamic Drawing with Salgood Sam at Syn Studio. http://dd.salgoodsam.com/. It seems obvious that you need to practice scales when you learn the piano, so you need to practice “scales” when you learn to draw. By practicing and repeating patterns and drawing strokes that you find difficult, you will build up muscle memory, just like riding a bike. If you can draw things without thinking about them, it leaves working memory free in your brain for the important parts of the drawing. Remember – Practice! Practice! Practice! With award winning illustrator, Shoo Rayner, who has illustrated well over 200 children’s books for famous authors and for his own stories. Line quality is very important. Here’s how to make your drawings look more professional. This is a re-edited video from before. Here are the top 3 exercises to improve your art. This can be done at any level. This can be done by beginners, pros, kids, you name it! Practice this a few times a day and fill full sketchbooks with it! It will help you increase stabilization with the hand so that you can draw very dynamic lines and I even show you where these lines can be found in art! Empower me to dedicate more time for art tutorials: https://www.patreon.com/sketchmonster Thank You to my Patrons! The Best Exercise to Improve Your General Drawing – Draw Fantasy Art This is one of the better exercises I’ve ever used to improve my general art skills. Visit the artist’s youtube channel here. Learn some of the basic exercises that will help you improve your drawing skills fast. In this video i enumerate the easiest practice strokes and various techniques to be able to draw straighter lines and better people for architecture and interior design presentations. We will also learn the basics of how to draw two point perspectives and three point perspectives. Visit the artist’s youtube channel here.